WODs are generally short and intense. However, ever so often a long, grueling workout will appear (think back to the sandbags and long distance rowing in the CrossFit® Games for example) and many Crossfitters, who have not worked on their capacity for endurance, suffer as a result. A lack of endurance based training will leave large gaps in any Crossfitter’s fitness, and a well-developed aerobic capacity is an essential aspect of an athlete’s physiological skill set. Intensity is key, but endurance work that improves VO2 max will also have positive effects on your performance in many other ways. Now appearing in Throwdowns and Competitions such as the Oresund Games in Sweden. Chris Hinshaw, endurance coach to Mat Fraser, Rich Froning and Katrin Davidsdottir noticed how improvements speed up recovery times between sets during strength work. This is also perfect for heavy EMOM workouts, to help you recover and prepare quicker for the next rep.
A general improvement in endurance based workouts involving running, rowing, swimming and high rep rounds at lower intensities and weights. Endurance training is an effective way to develop mental toughness. Promotes structural changes to your cardiovascular system that will benefit your heart, lungs and long term health. 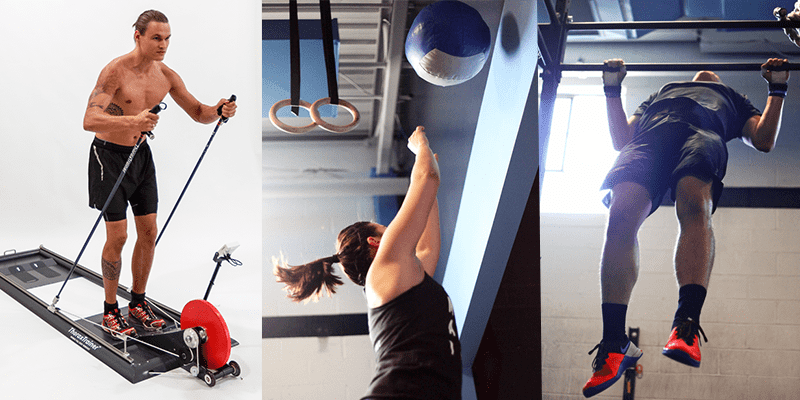 The ThoraxTrainer is helping Crossfitters to push their fitness even further. VO2 Max is a measurement that refers to the maximum amount of oxygen the body can process at any one time. It is recorded as millilitres of oxygen used in one minute per kilogram of bodyweight. This is used to measure an individual’s aerobic capacity. Theoretically, the more oxygen you can use during high-level exercise, the more ATP (energy) you can produce. This is often the case with elite endurance athletes who typically have very high VO2 max values. Nordic Skiing is a great exercise to increase VO2 max and anaerobic threshold (see below). WHAT IS ANAEROBIC THRESHOLD/LACTATE THRESHOLD? The anaerobic threshold is the level of exercise intensity at which lactic acid builds up in the body quicker than it can be cleared away. Anaerobic threshold can be significantly improved through training. By raising the anaerobic threshold, an athlete will be able to sustain higher intensity exercise for longer. A raised threshold has very direct and positive consequences for any Crossfitter’s performance. An increase can help to improve your performance over higher sets of repeated exercises such as Wall Balls (we all know that feeling when the lactic acid kicks in during these!) or Burpees. 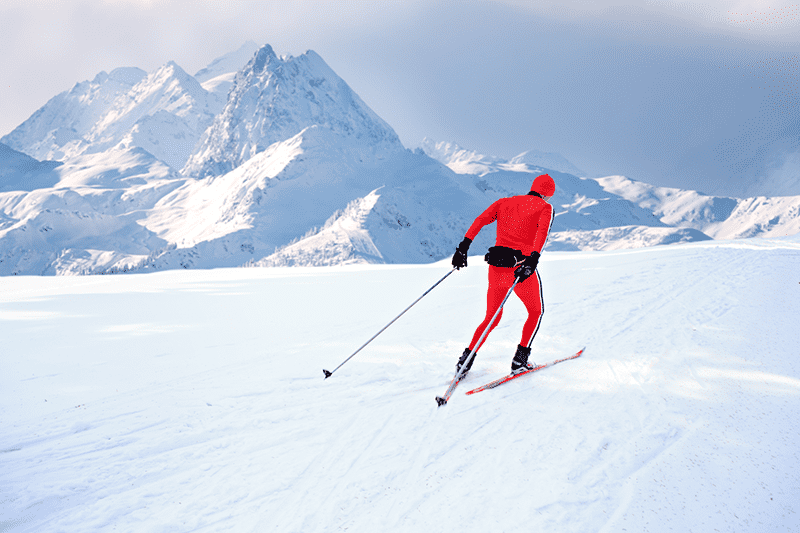 Nordic Skiing is renowned for being one of the toughest endurance sports in the world. It is a functional, full body exercise that often requires the navigation of difficult terrain through adventurous and snowy conditions. Skiers cover great distances and the top professional athletes boast some of the highest VO2 Max measurements in the world when matched up against other endurance athletes such as triathletes and ultra-marathon runners. Often athletes will ski up hills, over mountain passes, through forests and this requires an enormous amount of technical skill, physical fitness and psychological toughness. We are all well aware of how many great Crossfitters come from Iceland and Scandinavia as a region, and incorporating a few of their practices into our own training is a great way to improve as an athlete. All Crossfitters know that at its roots, the sport promotes principles of constantly learning new skills and using them to apply, test and express your fitness. Challenging your body to perform new movement patterns, or pushing your mobility in different ways requires you to adapt and improve, and forces you to move out of your comfort zone. Not all of us have access to the beautiful and wild Scandinavian countryside to ski, so the ThoraxTrainer brings that experience into Boxes and homes around the world. The movement is exceptionally faithful and authentic to the original, and this replication will push and test your fitness in much the same way. These WODs show exactly how the ThoraxTrainer can be contextualised and used within a functional fitness setting. 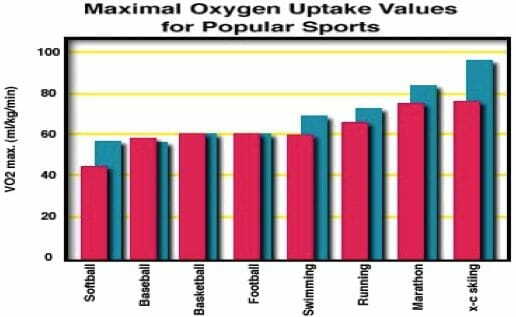 VO2 Max:Lower volume workouts, shorter distance intervals at higher intensities, and more rest between reps and/or sets. Strength Endurance:Low volume workouts with high intensity intervals that include various explosive movements to recruit and develop your fast twitch muscle fibres. The ThoraxTrainer is also perfect if you have a quad or hip flexor strain for example, or any kind of injury such as a rolled ankle that requires you to avoid putting pressure on your joints. The movement is gentle and does dot exert the same kinds of pressurised jolts that your body receives through exercises such as Box Jumps, Bar Facing Burpees or Running. 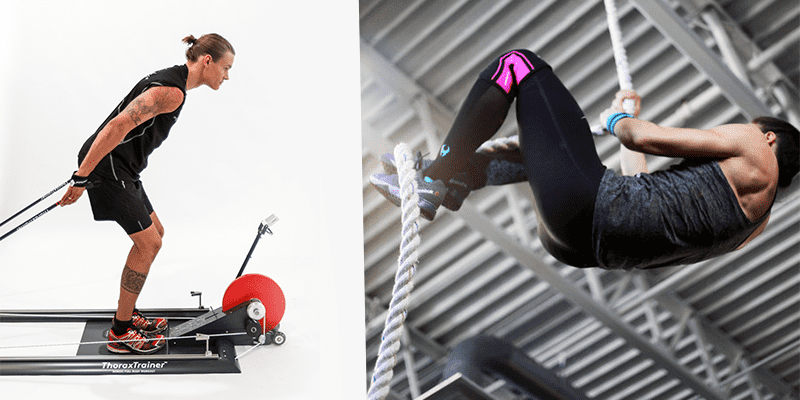 The machine is designed so that an athlete can use it even from a seated position, making it incredibly versatile for an athlete that is suffering from an injury. The importance of active recovery for any Crossfitter should never be underestimated. 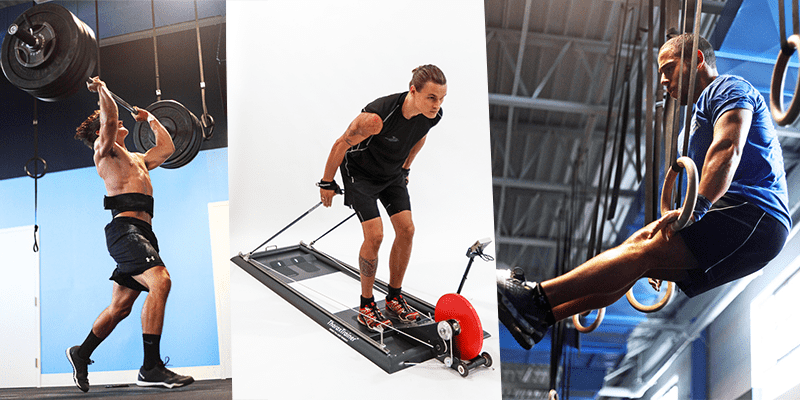 The ThoraxTrainer can be easily factored into workouts in much the same way as a rower or air bike might be, to provide instantaneous and strenuous exercise, but it is also highly a highly effective tool for carrying out your active recovery on a rest day. Never developing your anaerobic threshold and VO2 Max can have disastrous effects on your performances. On the other hand, making improvements will not only expand your capacity for endurance, but can shorten recovery times, raise your resistance to lactic acid build up (lactate threshold) and increase your mental toughness. A strong VO2 Max is therefore highly important, and the sport of fitness promotes all round health and proficiency, so fortify yours through learning a new exercise.